Growing up aai (Mum in Marathi) was always quite good at salvaging leftovers and saving the not so attractive beans lying in a corner of the refrigerator tray and making some exotic recipe of her. This habit of not chucking things in the bin or mindlessly stocking up the fridge have stayed with me and thankfully so. Some of the statistics I read about food wastage made me shed tears … Can you guess how many tonnes of food end up in landfill every year in the U.K? A staggering 18 million tonnes! If this is not a criminal waste of food then I don’t know what is . ”Food Poverty” is a very real issue and there are a number of charitable organisations that promote the cause of stopping food wastage. One such campaign known as Love Food Hate Waste inspired Kate over at Turquoise Lemons to start No Waste Food Challenge in a bid to encourage others to do the same. 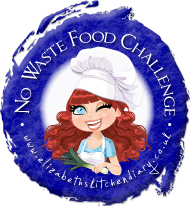 This challenge is now hosted by the lovely Elizabeth of Elizabeths Kitchen Diary and will be guest hosted by me this month. 1. Please link up your url using the linky at the bottom of this post. 2. Feel free to republish old posts just make sure you add a link to the current challenge and add the challenge badge (the blue badge at the top of this post). 3. Make sure you link up before the end of the month (that’s 11.55pm GMT, 30th November 2014)! 4. Posts will be added to the No Waste Food Challenge Pinterest Board to help spread the food waste prevention love! 5. Please make sure your post includes a link back to Elizabeth’s Kitchen Diary and Sliceoffme. 6. Tweet @TangoRaindrop and @manjirichitnis with the tag #NoWasteFoodChallenge and we will retweet all that we see. I think this is a great idea – we used to waste so much food, but now plan meals more carefully and try to make things in bulk that can be frozen. Thanks Fashion Mommy , yes freezing food is a great way to avoid food wastage. I do hope you enter Karen , would love to see what you come up with! 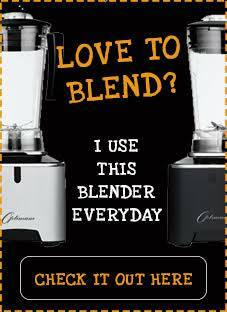 Love the sound of re-purposing food Janice , totally rocks! hoping you can link up soon ! 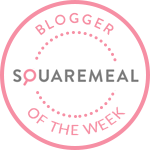 I’ve added the challenge to The Food Blog Diary for you. Many people in India die out of starvation. Wastage of food in such case is a crime.